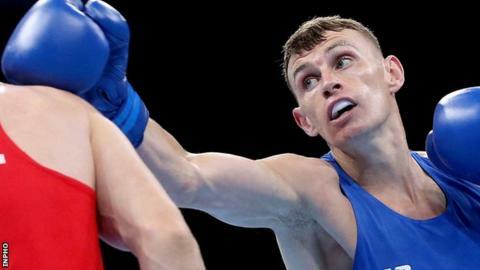 Belfast lightweight Sean McComb suffered a narrow defeat by Albert Selimov at the World Championships in Doha on Friday. The European bronze medalist lost 2-1 to the Azerbaijan fighter in a close and tactical contest. Fellow Irish boxer Joe Ward progressed to the quarter-finals thanks to a unanimous decision over Ukraine's Oleksandr Kyyzhnia. Ward secured victory with a 29-28 points win on all three cards. The Westmeath man joins Belfast pair Michael Conlan and Brendan Irvine in the quarter-finals along with Michael O'Reilly.